MeepCraft has rules designed to maintain high community standards and fair play. This section will explain all the rules and regulations that apply to every aspect of the server. Violating any of these rules is NOT allowed anywhere on our server, our forums, or our Discord. The rules stated here are subject to change, and more rules can and will be added should they become necessary. The administration reserves the right to change the rules with or without warning. Ban lengths will be under the discretion of the staff. Fines may occur in the form of money wipes and/or item confiscation depending on the severity of the offense. MeepCraft staff reserves the right to punish a player for any reason we deem appropriate, and rules will be enforced based on the spirit, not the letter of them. Admitting to breaking any of the following rules may result in the corresponding punishment, regardless of if proof of the broken rule is recorded. By joining the MeepCraft Minecraft Server, accessing the MeepCraft Forum, accessing the servers Discord or accessing the MeepCraft.com Donation page, you agree to abide by these rules and follow staff requests. Any repeated or extreme negative action towards a player without their consent may be considered harassment. Inappropriate content can occur through any means. IE: Any form of communication, signs, books, buildings, etc. Any attempt to deceive another player for gain (usually monetary, or for items) with promise of a service, or money and failing to follow through with the deal made. Any attempt to deceive a player through chest-shops, including the use of hidden chest-shop signs (usually backwards). The use of hexidecimal values is also prohibited. Also included is the use of decimals in attempt to disguise the price, this will be reviewed on a case by case basis. Using a Alternate account to gain advantage over another person is prohibitted. Whether this is paying your alt, completing parkour, quests, voting and giving a main the money, plus many more is completely prohibited and will result in a perm ban and wipe. Taking advantage of other people’s shops. Example: making copies of books or other items to replicate an item to sell in a chest shop, making someone broke because of their mistake (spelling, integer amount, etc.). Other people’s “mistakes” will be defined by a staff member if needed. MeepCraft does not tolerate selling or buying anything related to MeepCraft in exchange for real currency or real items. If scammed, MeepCraft or it’s staff hold no liability and is not required to give a refund. The only exception to this rule is with MeepCraft purchasable such as ranks, fireworks, heads, etc. Also note: backing out of auctions is not considered scamming, but feel free to disallow that person from future auctions. If you are unsure about a certain modification, ask a staff member before proceeding. Investigating acceptable mods is an ongoing process. Disclosing any information to another player about how to hack/cheat is also considered illegal as well as speaking about hacking/duping casually as if it’s acceptable. You may not complete Parkour courses on alternate accounts, then pay another account with the reward. You may not complete Quests or other one-time per-account achievements or features on alternate accounts, then pay the reward to other accounts. You may not transfer Meebles between accounts through any means; including town banks, gold blocks, and any other means earned in account based activities. You may not kill alternate accounts in minigames and PvP arenas to generate easy Meebles. This rule applies to friends who allow you to kill them. This rule does not prohibit people from expressing this displeasure, but tries to outline the manner in which a player should do so. This means, if you are unhappy with something, you’re welcome to post on the forums, or anywhere else detailing why you are unhappy with a certain aspect in a respectful way. However, some players are not satisfied with this outlet, and begin to become a thorn in the server’s proverbial side. If it is found that the majority of a player's interactions are negative ones against the server, staff, or any player in general, if that player continuously attempts to push the boundaries of the rules for the sake of pushing them, or in general attempts to degrade the enjoyment of the server for others in a continuous manner, this player can and will be considered toxic. Note: All minigame specific rules will be listed in the minigame lobby. All the rules stated in the MeepCraft Global Rules still apply to the Forums. Violating any rules stated above or listed below through any means will result in a warning points, initiated through conversation by a staff member. This message is automated and not written by the staff member you received it from. Depending on the number of warning points you have accumulated, a tempban (or permanent ban after accumulating enough points) will occur automatically. Once a post has been made, if it does not directly involve you and/or you have nothing useful to contribute then posting in either of those areas violate this rule. In the case of ban appeals and report a player, your opinions are not considered useful contributions. Each person is allowed unlimited posts on an application as long as it is deemed constructive to the application. Using multiple forum accounts or creating false identities on the forums is not allowed. Using alternate forum accounts to avoid a ban is also prohibited. All rules stated above apply to Discord. Staff do not have to supply proof for any Discord bans. If you need help with adjusting your Discord to follow these rules, contact a staff member. Your Discord name should be the same as your in-game name. You may add another name but your IGN needs to be included somewhere. If you use a different name for your already created Discord account, you may request a staff member to change your nickname. Your name should not contain anything inappropriate. You may not record without the consent of everyone in the channel. Playing music without the consent of everyone in the channel (unless you are in the music channel) is prohibited. You need to have push-to-talk or a low enough mic sensitivity so no one else can hear any noise other than your own voice. The use of voice changers on discord is prohibited. All rules stated within the Global rules also apply to the Towny server. Towny has additional rules that you must abide by on the Towny server. By joining the MeepCraft Minecraft Server, accessing the MeepCraft Forum, accessing the servers discord, or accessing the MeepCraft.com Donation page, you agree to abide by these rules and follow staff requests. Trespassing is the act of entering private property without permission. The plot must have no access with standard access with standard permissions unless otherwise stated by signs. Alternatively, a player can be asked to leave and if they do not, it is considered trespassing. To prevent trespassing, one can toggle their town to private or close off their plot with all perms off. Illegal grinder usage also falls under trespassing. The grinder must be closed off and have clearly posted signs stating who is or isn’t allowed to use the grinder. If the grinder is open and no signs are placed, then it will not be considered trespassing until they are asked to leave. If you do not want certain people to enter your town/plot, place a sign in a visible location in relation to that town/plot. Additionally, one may not maintain a /sethome at a location which you are banned from. Failure to remove a /sethome in a location may result in a trespassing ban. You must have rules clearly written at your /t spawn and the actions you take upon violating these rules. You must have evidence that they committed the infraction. Town taxes may not be increased under any circumstances without a 7 day warning of the change and a clearly public note on the amount it is being changed to. Failure to do this will result in a ban. Players with a Perm ban - If a player has been permanently banned. You must wait for an admin to review the plots before you can take them back. If the ban is reduced to a tempban, you must give them a 7 day warning after the ban was expired. If the player is unbanned, you must give them a 7 day warning. You are not allowed to settle or expand within 3 plots of another town without the approval of the mayor of the town you want to expand near, this includes outposts. You are allowed to claim a plot within 3 plots for 24 hours for raiding purposes. The original town is also allowed to expand within this 3 plot limit. Towny Spawn: You may claim only ONE side of Towny Spawn which cannot wrap plots around. The three plot limit does not count within 30 blocks of the spawn! Do not box other towns in. No signs, neon signs, traps, or ads luring players to your town. No skyscrapers or walls. A town may NOT be deleted under any circumstances unless the town has no members in the town or all member of the town were warned of the deletion 7 days previously using the message board. An honest attempt to contact town members must also occur. Removing money from bank to cause a town to fall is also prohibited. The exception to this rule is in cases where the action taken by co-mayor puts the town at risk of falling. When withdrawing, a co-mayor must leave a minimum of 7 days worth of upkeep in the town, if the town falls, the co-mayor will be held responsible for the situation. Also prohibited is the act of joining a town as staff with the only intention to grief/steal and will be considered scamming. All other mayor and co-mayor disputes will not be moderated. 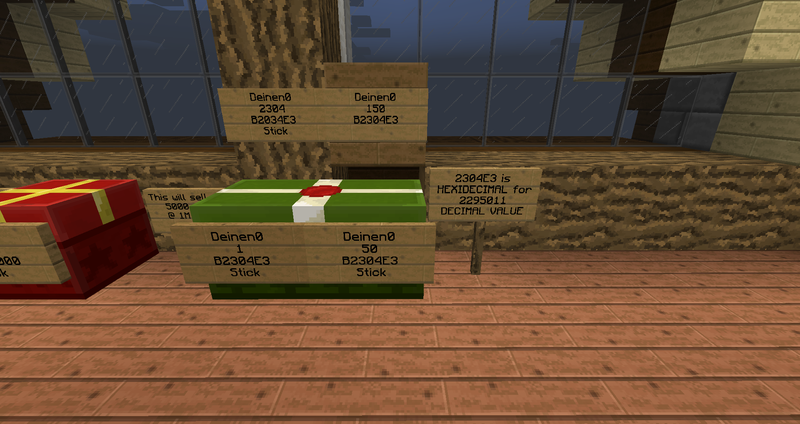 All rules stated within the Global rules also apply to the Skyblock server. Skyblock has additional rules that you must abide by on the Skyblock server. By joining the MeepCraft Minecraft Server, accessing the MeepCraft Forum, the MeepCraft Discord or the MeepCraft.com Donation Page, you agree to abide by the rules and follow staff requests. All other types of scamming apply to Skyblock, however in addition to the rules stated within the global rules, it is illegal to join an island with the only intention to grief and/or steal and will be considered scamming. Unless covered by Scamming, the staff will not take an active stance on this. We will not moderate any cases revolving around griefing. If a user has issued an island ban on you, or has informed you they have issued an island ban on you. It is illegal to return to this island via any means of transportation. Bringing a player to an island they are banned on will also fall under this rule. When kicking an island member, you must give them a 7 day warning before doing so. If a player has been inactive for more than 14 days, you are welcome to kick them without warning. The act of beginning new islands with the intention of selling the items then /island restart-ing again is prohibited. As well as beginning a new island, to gather the items and transfer them to another party, and proceed to /island restart. Any measures taken to circumvent the idea of having one island to begin with and/or to work with are prohibited. If for any reason you need to leave an island, your achievements will be reset. Abusing this mechanic is also prohibited. All rules stated within the Global rules also apply to the Terrarium. The Terrarium has additional rules that you must abide by in the Terrarium. These rules also apply to KitPVP. The only exception to these rules are towny PVP areas. See towny rules thread for more details. By joining the MeepCraft Minecraft Server, accessing the MeepCraft Forum, accessing the MeepCraft Discord or accessing the MeepCraft.com Donation page, you agree to abide by these rules and follow staff requests. Disconnecting from Meepcraft in the middle of combat by closing the window, or any other means of purposeful disconnection is not allowed in PVP combat except in the wild worlds (wild, nethers, end). Any act of instant teleportation, while in combat, may also be considered logging. The dungeon is included in this rule. The use of an Invisibility, Poison, or Strength II potions in any form (including tipped arrows, lingering potions, splash potions, and normal potions) is illegal in the Terrarium (KitPVP is an exception only if it is a part of your kit or purchased otherwise). Any other potions are legal. If you feel you have been wrongly banned, feel free to file a ban appeal where a staff member other than the one who banned you will review the case. If you see anyone committing any violation of any rule, please take necessary screenshots and post under Report a Player or file a /modreq in game. If you are banned, you may not use any alternate account to get around a ban. Forum ban appeals can be appealed using the form. MeepCraft Staff reserves the right to use good judgement for punishments and ban lengths, along with combined infractions. Lying to a staff member will also result in a harsher punishment.